When it comes to commercial glass we have you covered. Offering a wide range of architectural metals, Mirrors, Glass and Glass related products, we are confident that we have exactly what you need, from giving your storefront a facelift to designing and installing your new construction storefront. You can depend on our knowledgeable and experienced staff to take care of any glass needs you may have!! 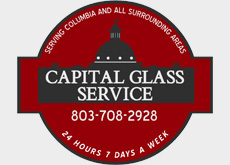 If you experience an accident or break-in in the middle of the night, Capital Glass Service will be there to clean up and secure your house or business no matter the hour. Our experienced technicians can fix any store front glass no matter the size or age. Here at Capital Glass Service our installers and storefront builders bring excellent craftsmanship and experience to the table. You can depend on Capital Glass Service to complete the job to your satisfaction.